It's definitely Fall here in northern Ohio! Quinn was the first to notice this big hornet's nest and I wonder how Jack and I missed it before it got this big. While waiting for Nikki to pick her up, Quinn asked if she could rack leaves before doing homework. How was I supposed to say no to that request? Here's a close up. 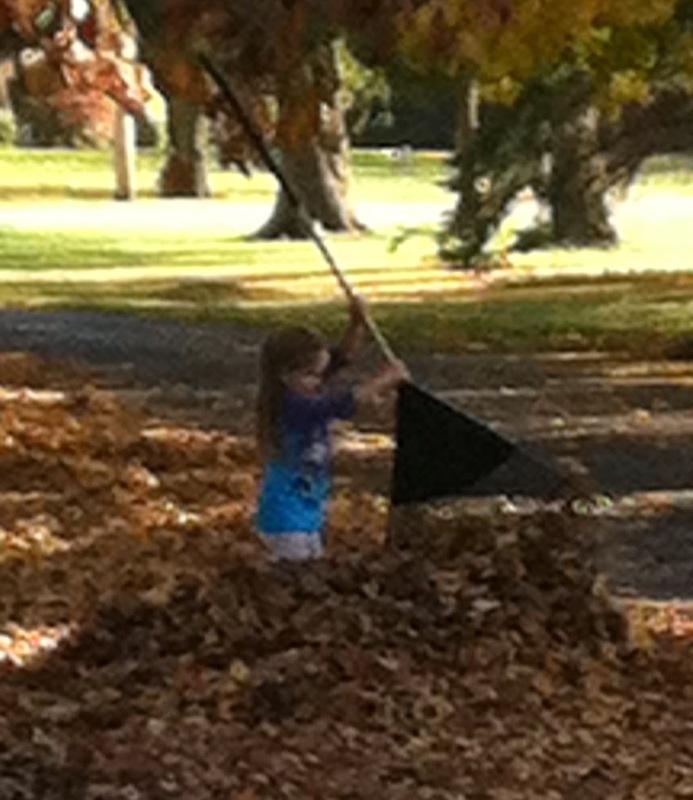 That rake is HUGE for her, but she had fun. After she made a big pile, she and Jack played in the leaves and had a blast. They asked me to in along, but with my allergies I'm pretty sure a trip to the doctor/ER would have been in order to get me breathing properly again. These pictures do come with a warning though. They are ADORABLE!